Central North Carolina is home to a vast array of historic landscapes that weave in and out of our day-to-day paths. On Saturday, April 30, Mike Shore’s Geological Archaeology class spent a day investigating the historic Ayr Mount site in Hillsborough, where several structures that once stood above ground now lie beneath the surface. 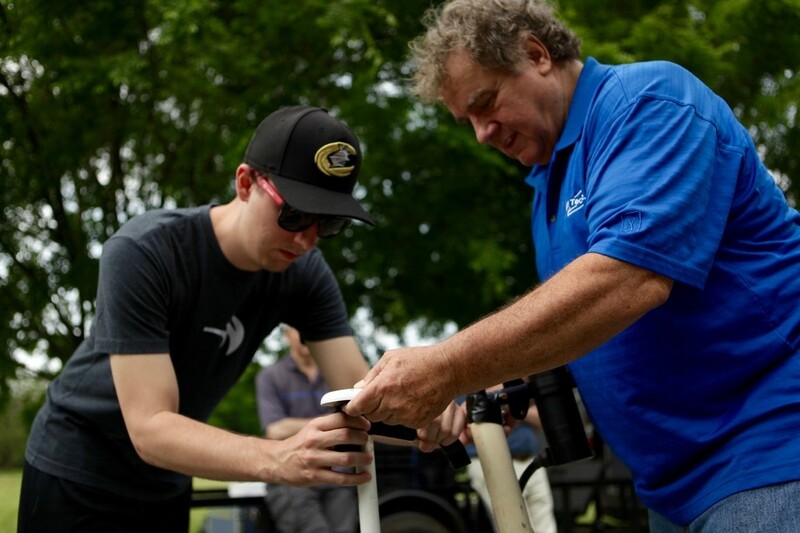 Ron Crowson, president at Geo Solutions Limited, shows a UNC student how this sled made of PVC pipe and a wooden platform is used to collect data of historic structures buried underground. In 1799, a young Scotsman named William Kirkland came to the United States and purchased 500 acres of land east of Hillsborough. Hailing from Ayr, Scotland, Kirkland built a large estate and named it Ayr Mount. The Kirkland family inhabited the plantation for 170 years, but today Ayr Mount is a historic site that includes a Federal-style plantation house and more than 60 acres of grounds. While most of the original buildings no longer exist, the land is rich with historic artifacts and has long been a site of interest for local archaeologists. Students from Mike Shore’s Archaeological Geology class woke up early on the Saturday after the last day of classes to do a shallow geophysical survey of the historic Ayr Mount site in Hillsborough. The objective is to conduct nondestructive mapping of the subsurface to give local archaeologists a better idea of what artifacts might be underground. Mark Denil, a geophysicist at Geophysical Survey Investigations, and Ron Crowson, president at Geo Solutions Limited, met with the class to share their equipment and expertise. Department of Geological Sciences Chair Jonathan Lees stopped by the site to watch the future scientists at work. Denil and Crowson secure the equipment to the sled, a simple structure made of PVC pipe and a wooden platform. They double-check to make sure everything is locked down — replacing just one piece of the equipment would be a hefty expense. Crowson shows the sled’s components to a student in the class, and explains how it all works. 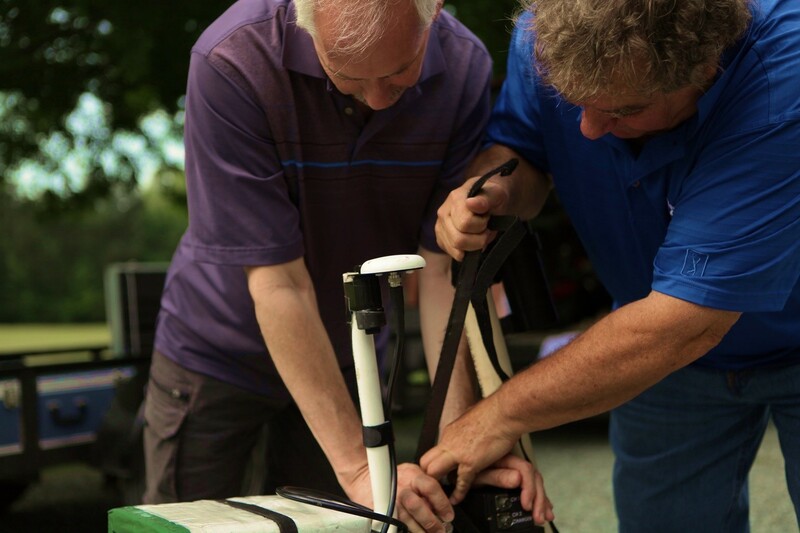 Crowson checks that the ground-penetrating radar is calibrated to collect data. One side of the sled sends a signal into the ground, while the other receives the signal after reflecting off items underground. The students also took time to enjoy the serenity of Ayr Mount. The approximately 60 acres of land are kept in pristine condition — a site that intrigues history buffs and beauty seekers alike. Can We Have Our Oysters and Eat Them, Too?